Career Closet Now Open in The Hub! That’s right! 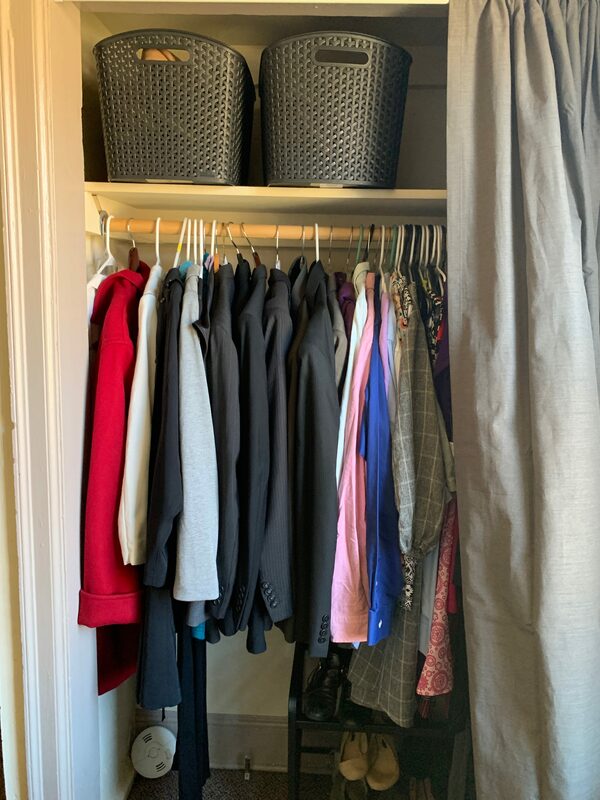 The Career Closet made its debut midway through Winter quarter and remains open 3 times per-week throughout Spring quarter (2019). Adapted from the event, The Professional Attire Fair, the Career Closet was created with the intention of providing DU students access to both business casual and business professional clothing for their upcoming interviews, internships, and jobs as these forms of clothing are costly and take a lot of time and money to obtain. How does the Career Closet work? Feel free to stop by The Hub anytime during these hours (no appointment necessary). When you first enter the main door of The Hub, look for this sign and enter the door to the left. Then, you will be greeted by one of our amazing Peer Advisors who will assist you in picking out up to 3 FREE items of professional clothing. Want to donate to the Career Closet? We greatly appreciate any gently used business casual or business professional clothing donations (accessories and shoes included). Feel free to drop off donations during the hours the Career Closet is open or email chloe.theobald@du.edu to coordinate the exchange of these items. We hope you’ll check out this new resource available to all DU students! If you have any questions please email chloe.theobald@du.edu .